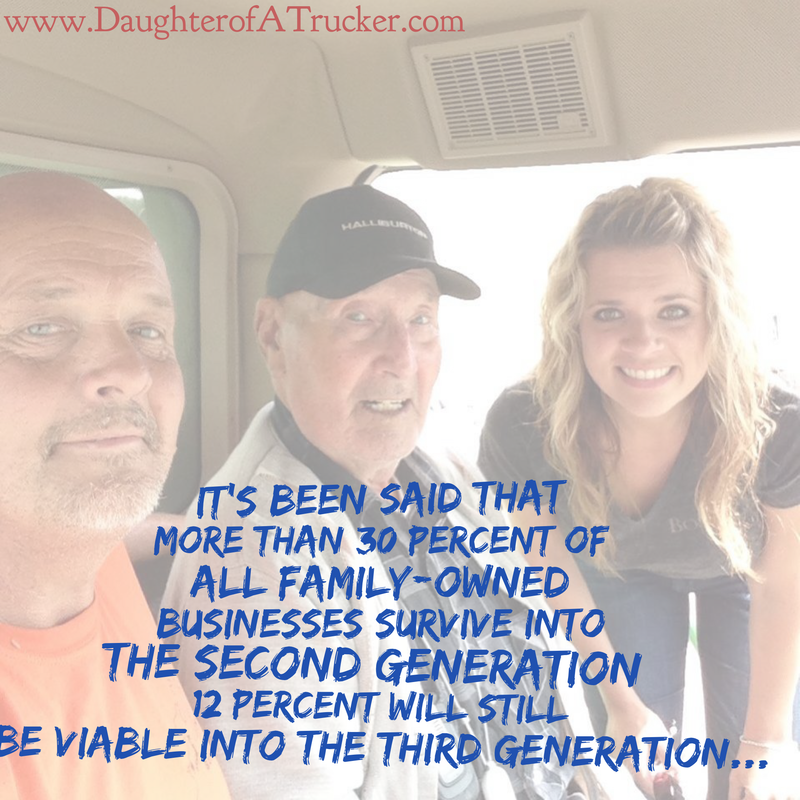 It’s been said that more than 30% of all family-owned businesses survive into the second generation. 12% will still be viable into the third generation, with only 3 percent of all family businesses operating at the fourth-generation level and beyond. Why is this? I’d say that everyone might have a differing opinion on this — taxes, regulation, lack of interest, markets change, the next generation just doesn’t have what it takes, and the ideas go on. My opinion: a lack of communication. It might not be the main reason, but I would suggest it to be a contributing factor in any family business problem. I don’t have the answers, and anyone that knows me and my family all know that we are not masters of communication. But we have one thing for sure going for us: we are aware of it, and we try to work on it. How does this family work at bettering communication? Family meals – every Monday. If you can make it, great. If you can’t, no worries. My mom can be thanked for this. She is an excellent cook and we all are ever so grateful for a prepared meal every Monday. Group text. Oh boy, the in-laws might not always love this (in fact my husband is just grateful for the mute option on his phone), but every family member is included, and we are all up to date on the latest shenanigans. We talk farming, we talk kids, we talk business, and we share in each others successes and share in each other’s failures. Every day, every week it’s different. But we communicate about it – and we’re better for it. The kids and grandkids are ALWAYS welcome on the farm or in the office. I have never heard my parents shoo any of us or our kids away – if they are busy, they let the grandkids be a part of it. I try to mimic that. My kids and nieces and nephews are always welcome. I want them to know they are a part of this family farm and business. It happens regularly that a salesman will walk into my office and my nephew Jude is sitting on my lap. When my daughter Samantha was 4, she was the one that welcomed our future Operations Manager in the door when he was checking to see if we were hiring. That day she just happened to be watching cartoons on a computer while I was finishing up some work before leaving for the day. We were hiring, and he was hired soon after. I’m pretty sure he knew exactly what kind of business he was walking into: a family oriented one. Like my dad says in the article I reference below: “you have to get over yourself.” We all have faults and we all have failures. But we also all have successes and things we are great at. If you asked my siblings, they could write a list of things I’m not good at. But they’d also give you a few things I am good at, too. Like I said, we work on it. When Progressive Forage called and wanted to interview us about communication, I jumped at the chance. I’ve learned so much from others around me, maybe someone can learn from our failures and successes as well. 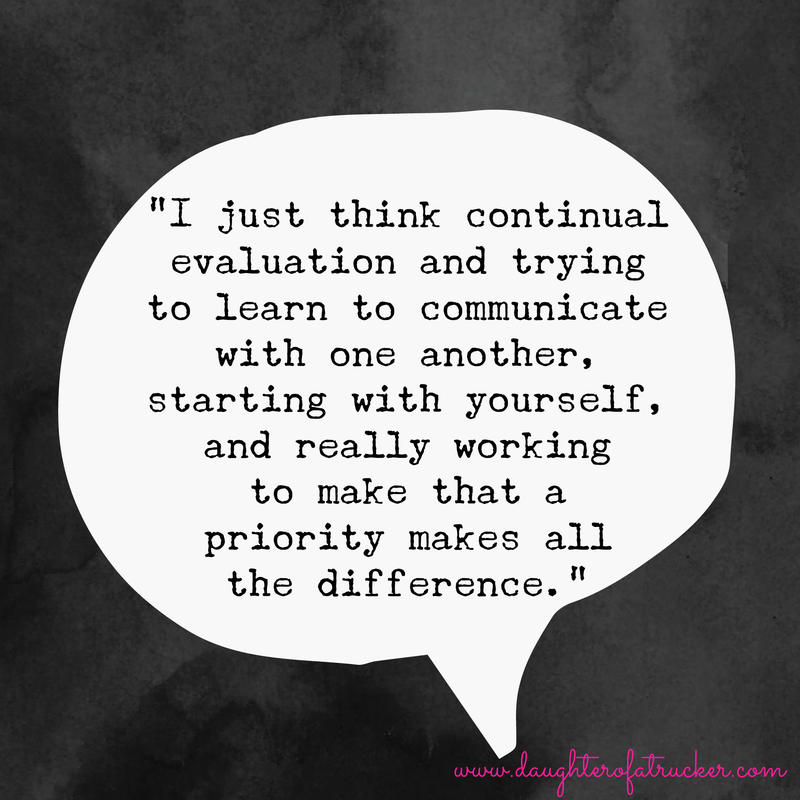 I’d also encourage everyone to share their failures and successes with others. We’re not perfect, none of us are! But I certainly hope more family businesses and farms succeed. I have a group of friends that share with each other – and I am better because of it. I’d encourage you to find your group as well. And please read our interview and article here – thank you for reading and I wish you success in whatever you do. A big thank you to the author: Cassidy Woolsey. She took what I didn’t think to be coherent ideas and made them a fantastic story. My hat is off to you Cassidy, thank you.